The commentaries differ on the meaning of the word, ‘mishmarti’ in the Torah’s description of Avraham’s righteousness. The Seforno offers a novel interpretation of ‘Mishmarti’. He writes that this refers to the trait ‘that is guarded (mishmeres) to me’, which is that of chesed, thus Hashem is praising Avraham for being so proficient in emulating Hashem’s own trait of chesed. 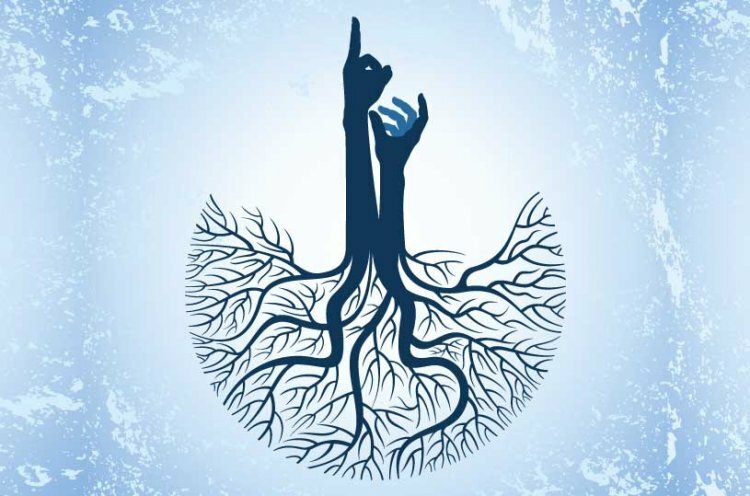 The whole foundation of Hashem’s creation is chesed, and Avraham emulated this trait by doing the greatest possible chesed of giving others the opportunity to get close to Hashem. The Seforno continues in the same section to address a very difficult problem with this passuk: On two occasions in the Parsha, Hashem blesses Yitzchak, but only in the merit of Avraham. The first is the passuk above and the second is after Yitzchak’s travails with the Plishtim; “.. I will bless you and increase your offspring because of Avraham my servant.” The Seforno contrasts this with both Avraham and Yaakov who were always blessed in their own merit and not in that of their fathers. He explains that Avraham and Yaakov were both involved in teaching others from early in their lives. Avraham’s exploits are well-known and the Seforno writes with certainty that Yaakov taught people who came to the Yeshivas of Shem and Ever. Accordingly, they were blessed in their own merit throughout their lives. In contrast, up to this point, Yitzchak did not call out in the name of Hashem, and consequently did not merit to be blessed in his own merit. He is blessed in his own merit only after he emulates his father and calls out in the name of Hashem: “He built an altar there, and called in the name of Hashem.” Soon after, Avimelech approaches him to make peace and ends by calling him, the “Blessed of Hashem.” It is at this point, the Seforno writes, that Yitzchak is blessed in his own merit. It still needs to be understood why exactly Yitzchak’s great righteousness was not sufficient to earn him the right to be blessed in his own merit until he spread Hashem’s name. Rav Chaim Volozhin zt”l writes that ‘bracha’ means ribui (abundance). Thus, the purpose of bracha is to cause an increase or continuation in something. Based on this, my Rebbe, Rav Yitzchak Berkovits Shlita explains that a person is only worthy of receiving the bracha of ribui if he himself contributes to causing ribui and continuity in the world by causing others to follow the Derech Hashem. Accordingly, despite all his great acts, Yitzchak only received blessing in his own merit when he himself contributed to the increase of people who would follow the Derech Hashem. The question remains as to why Yitzchak refrained from calling out in the name of Hashem until this point. Rav Elyashiv suggests that the explanation for this is that since his father had already spread awareness of Hashem, there was no need for him to do so. However, Rav Elyashiv points out, we see the great reward that Yitzchak later received for doing so even though his father had already done so. We learn from here a lesson that is highly relevant in the world today - that the fact that there are some people who devote time and effort to spreading Torah does not exempt everyone else from also contributing in some form. A person may argue that since there are people already involved, there is no need for him to do so. The problems with this argument are twofold: Firstly, we see from the Seforno that in a person needs to be involved in bringing others close to Hashem for his own benefit and to be worthy of bracha. Secondly, there are a tremendously small number of people who are involved in any form of Kiruv rechokim (including part-time Kiruv, such as learning a few hours a week with a beginner or having secular people for Shabbos) in comparison to the numbers of secular Jews who are leaving Judaism in the millions. The only possible way to stem the tide is if every Jew takes upon himself to devote some amount of time to Kiruv. He concludes that “as in charity, where one has an obligation to give a tenth of his income to the poor, so must one spend one tenth of his time working on behalf of others, bringing them close to Torah. If one is endowed with greater resources, he must correspondingly spend more of his time with others.” Other Gedolim have issued similar ‘calls to action’. In Eretz Yisroel, Rav Wolbe zt”l exhorted avreichim to devote one night every week to visit the homes of secular families and show them the beauty of Torah and Yiddishkeit. We learn from the Seforno that even a great tzaddik is not worthy of bracha unless he spreads the awareness of G-d in the world. Rav Elyashiv further teaches us that there is no validity to the argument that others are already doing so is. May we all merit to play our role in being vayikra b’shem Hashem. The Ramban, in contrast writes that Yaakov fulfilled his obligation to spread the word of G-d through his sons. From The Book "The Guiding Light 2"